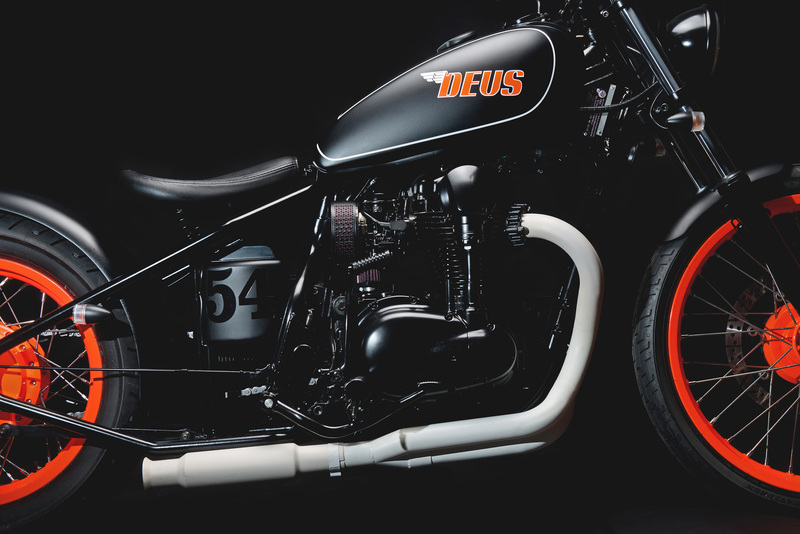 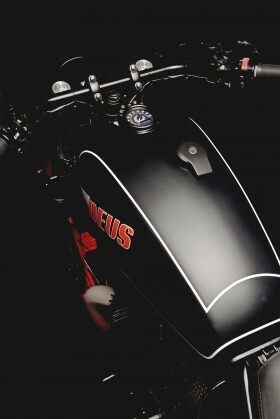 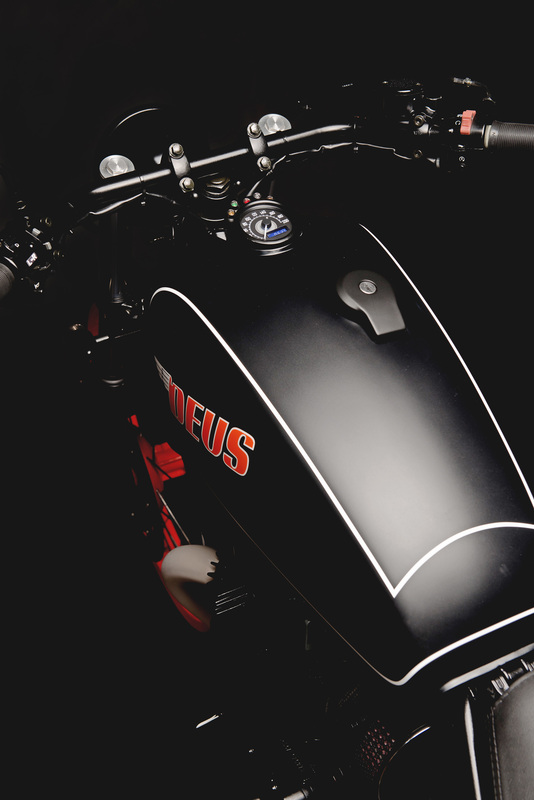 Not so many moons past, a good friend of Deus Camperdown came to us with a special request. We had suspected this gentleman harboured a deep and abiding love affair with the internal combustion engine by the frequency with which he produced well thumbed pictures from his wallet of a race prep’d ’69 Camaro and 2 CBR1000 track-only Fireblades, high horse power puppies sporting eye-bleed bright colour schemes. 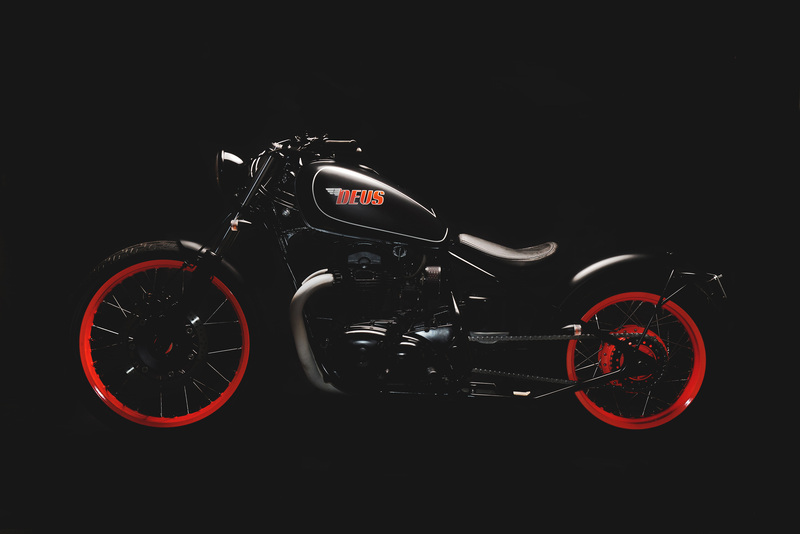 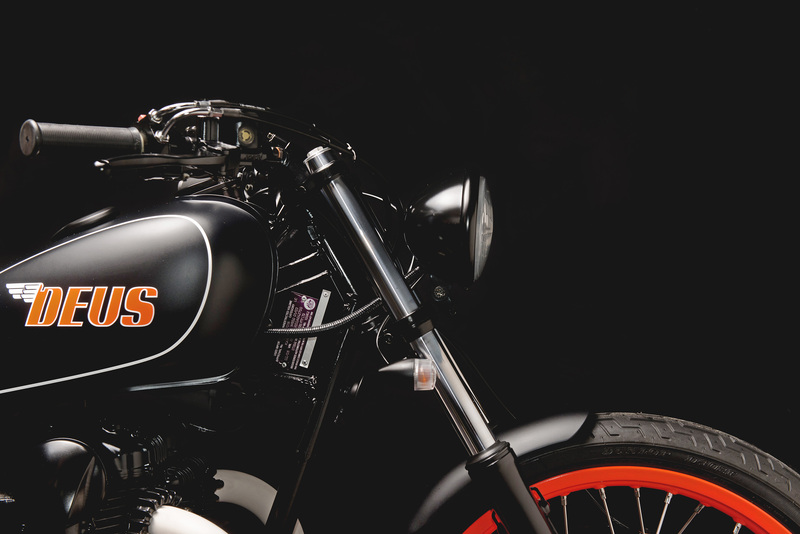 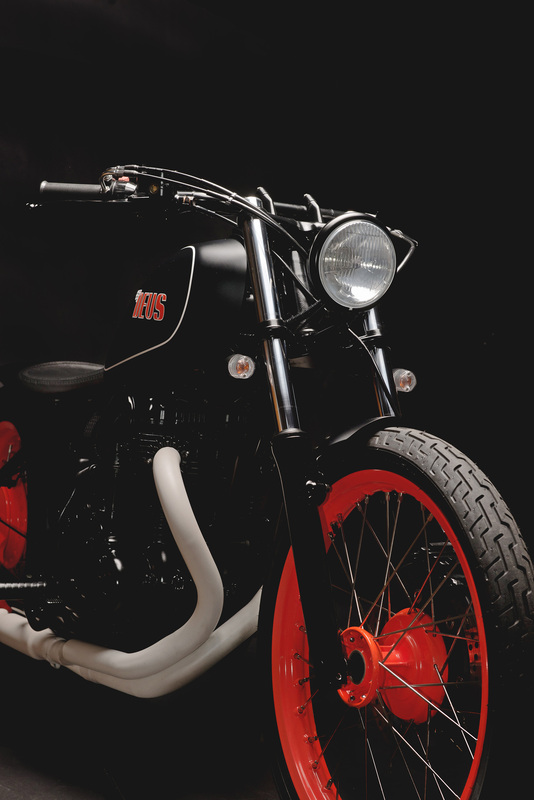 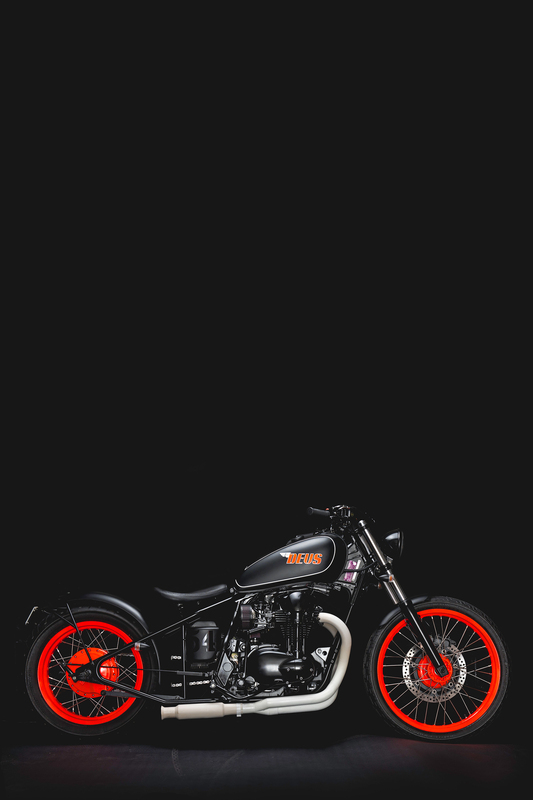 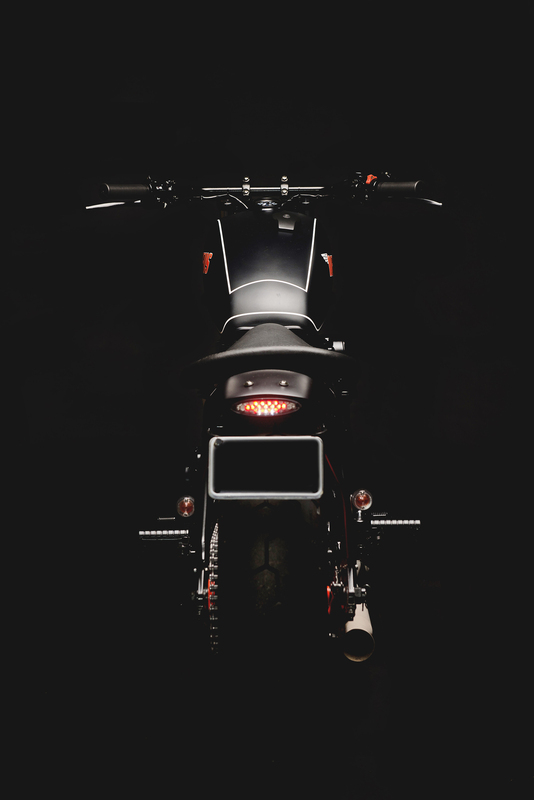 He’d seen our signature hardtail Kawasaki W650 on the floor and requested just such a steed to park in his own garage, but with a bit of glow-in-the-dark presence. 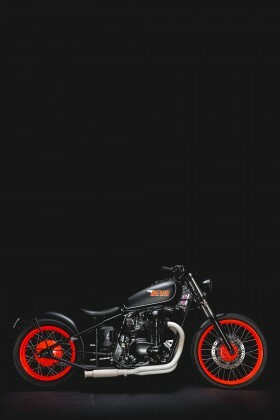 Jeremy set to work on a late model low mileage puppy stripping the bike into its component parts in a jiffy. The wheel set is now 21 inch front, 17 rear – laced in stainless with rims and hubs powder coated in a hue so intensely bright they can be seen from space. 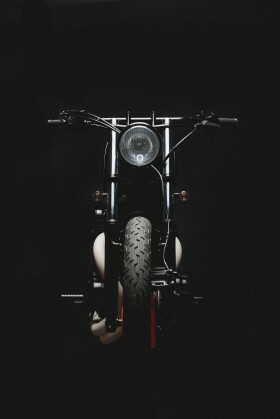 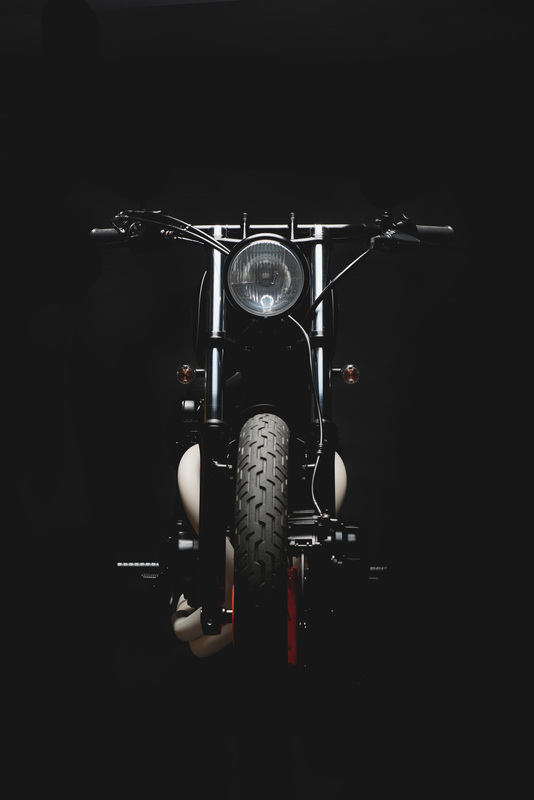 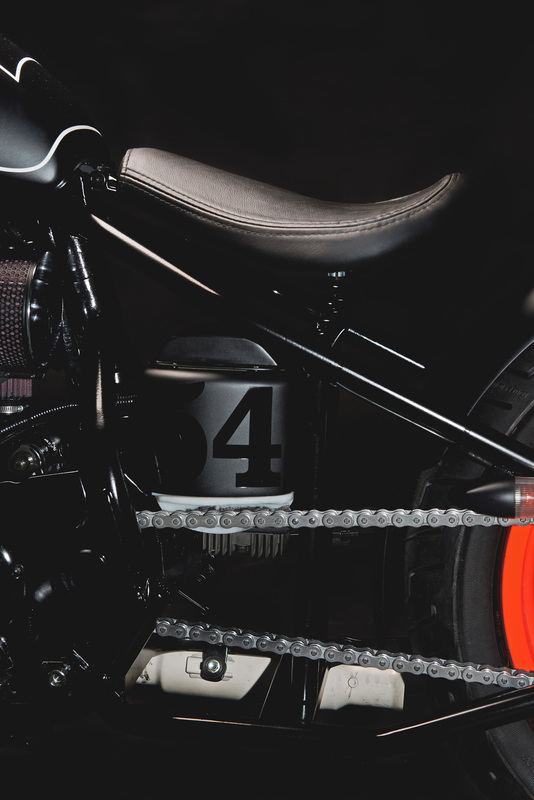 Bates style head light, custom bars, and custom mirrors live amongst the top triple clamp. 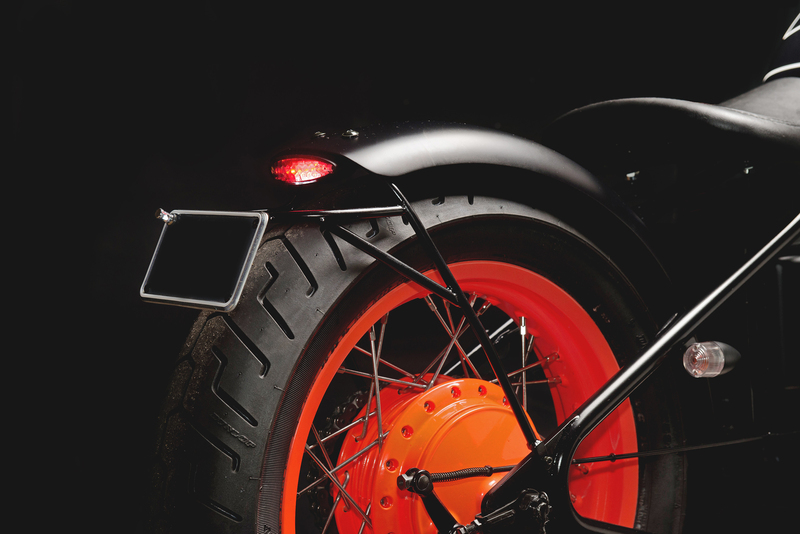 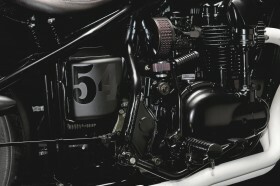 A customised Yamaha SR400 fuel tank nestles onto the square section back bone of the W, while a Verona electronic speedo fills the void and is surrounded by LED warning lights. 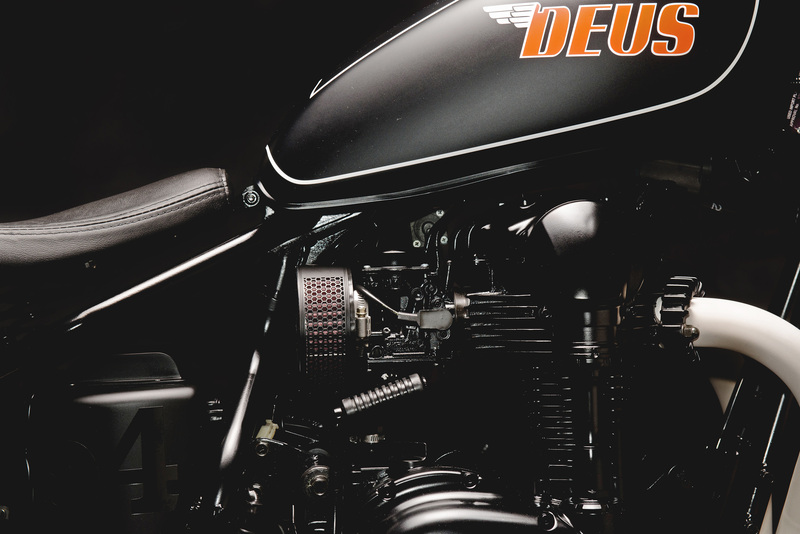 With the motor out for a splash of black satin, the chassis is placed in a jig to receive the Deus custom hard tail section. 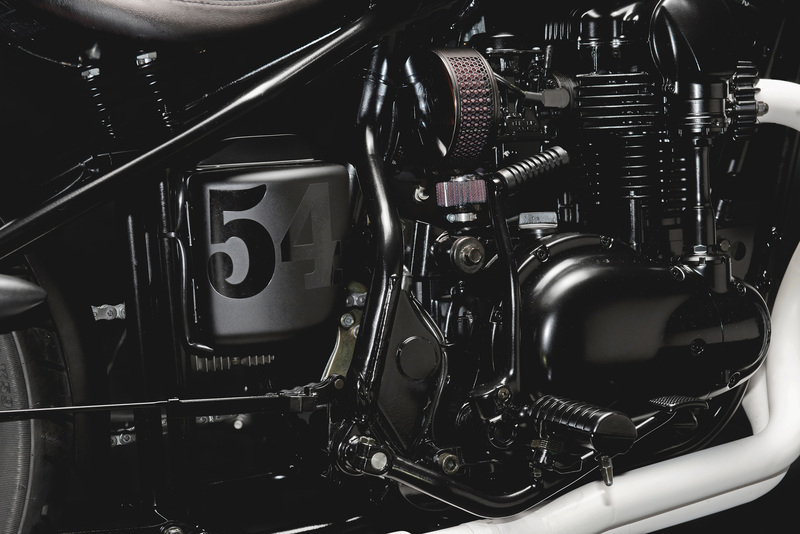 A custom battery box and air box eliminator kit allow the W to breath through K&N filters, while gasses exit via stainless 2 into 1 headers flowing into an open tulip style muffler. 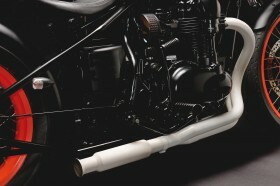 All of which is ceramic coated in brilliant white. Fenders are bespoke units massaged into shape by Jeremy here in the House of Simple Pleasures. The steel base, coil sprung seat has hand stitched leather in black. 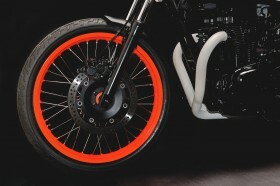 The colour is a perfect reflection of the owner, not only does the scheme match his pair of racing Fireblades with the fluorescent orange of the wheels, but the striking contrast of the black with white striping can be found on his Camaro. 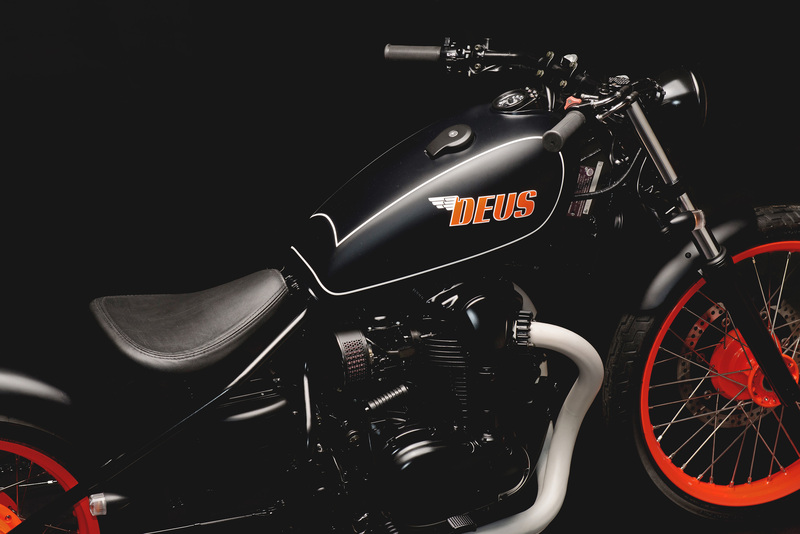 A winged steed to join the stable.